Triple Creek Ranch Celebrating Christmas and New Year's! Montana’s Triple Creek Ranch, a Relais & Chateaux sanctuary with five star cuisine, an award-winning wine list and stellar service, is a joyous place to celebrate the holidays and experience the beauty of a Rocky Mountain winter. 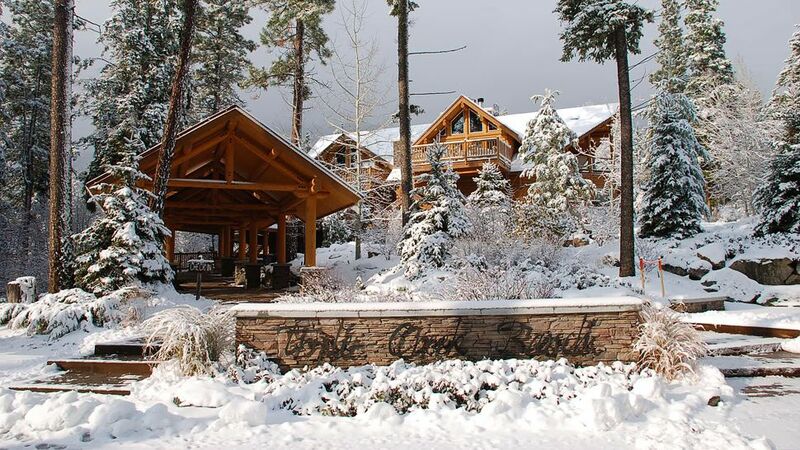 Adorned in holiday finery for the season, Triple Creek Ranch offers an intimate getaway with festive cheer and a range of activities that include dog sledding, skiing, and cooking lessons. You're sure to be in good hands as Triple Creek Ranch was named the World's Best Hotel in the Travel + Leisure 2014 World's Best Awards and was just ranked one of the Top 100 on Condé Nast Traveler Readers’ Choice Awards 2014! Triple Creek Ranch celebrates Christmas in Montana with elegant decorations in the main lodge and a jubilant atmosphere. Guests may choose from a selection of freshly-cut evergreens (or a faux tree) to decorate their cabin. Some guests prefer to ship their own ornaments, while others avail themselves of Triple Creek Ranch’s collection of holiday decorations, or simply let the staff adorn the tree before their arrival. The holidays are spent at leisure, enjoying Ranch activities such as winter hikes in the Bitterroot Range or horseback riding on the forested trails, and of course enjoying Chef Jacob Leatherman’s rich holiday menu with carefully selected wines to match. There will be celebratory dinners on both Christmas Eve and Christmas Day, and this year, guests will ring in 2015 on New Year’s Eve decked out in cowboy finery with a Wild, Wild West New Year’s Eve celebration that includes a five-course wine-pairing dinner and a champagne toast with signature New Year’s Eve fireworks. *Three-night minimum stay required for Christmas and New Year’s only.